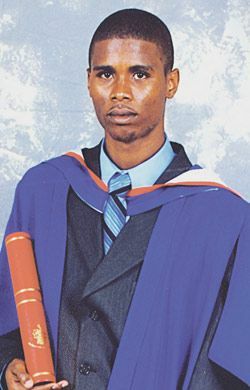 Thank God for another blossom in the family, Jason Artnell Hope, who graduated from UWI, Cave Hill, on 25th October, 2008, with a BA History with a minor in Public Sector Management. Parents Reynold and Rosleyn Hope, ofÂ Dauphine, would like to congratulate him on his success and wish himÂ GodâsÂ blessing as he pursues hisÂ Masterâs in International Management. Happy Birthday to you, too – celebrated on Dec. 2nd, 2008. Lots of love from your entire family especially your daughter Jahzara Hope.